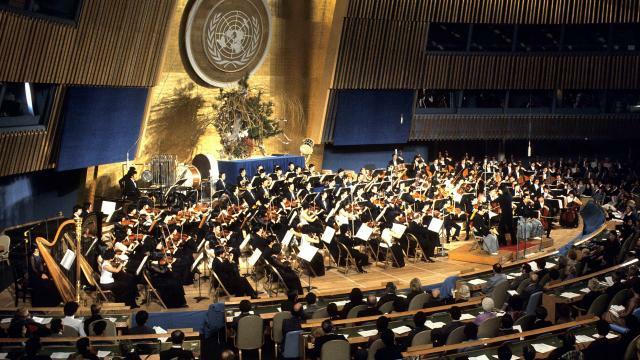 1974 UN Day Concert at the General Assembly Hall in New York: The New Japan Philharmonic and the Toho String Orchestra, conducted by Seiji Ozawa. FOR LISTENING PURPOSES ONLY. UN Photo/Teddy Chen 312549. View of the complete ensemble during the performance of "Three Spaces".